Energy Monitoring and Power Management systems from EcoPowerSupplies include products associated with power quality. A polluted mains power supply or one that is operating at too high or low incoming voltage to a site can lead to increased energy usage costs and lower operational performance. Voltage Optimisers reduce the overall voltage supplied to resistive and capacitive loads and supplies them with the voltage level that they were designed to operate on, at full efficiency. Power Factor Correction (PFC) systems also help to tackle the problems of a polluted mains supply including harmonics. 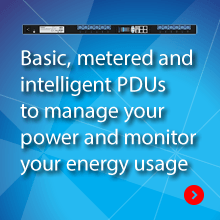 Power management systems include intelligent Power Distribution Units (PDUs) and Smart Meters. These energy monitoring products provide data that can be analysed to assess electrical usage and running costs in terms of VA, Watts, Power Factor (pf) and AC voltage. Some systems also calculate kW/hr usage and CO2 generation. Energy monitoring systems tend therefore to be both hardware and software based. Static Transfer Switches (STS) and Automatic Power Transfer Switches (ATS) are also a form of power management device. STS and ATS operate from two connected mains power supplies or UPS or generators, and automatically support the connected load or bus bars from whichever source is considered to be the most stable. Manual selection can also be made. When designing a power management strategy for a building, often a Zoned approach is taken. 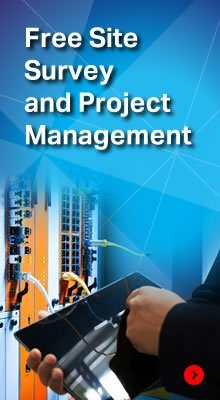 This allows the Energy Manager to monitor and control power and energy usage within the building, from the initial building incomer to distribution boards and switchgear, and even down to individual loads through intelligent PDUs within server racks. Monitoring energy usage can lead to redefined processes and procedures, the upgrading of legacy systems to new, higher efficiency products including ECO uninterruptible power supplies, lighting and heating. Other measures can include redrafting working practices, setting operations to run overnight at lower kW/hr energy unit prices or when renewable energy sources including solar PV and wind turbines are available.